The Barnstead Historical will be meeting Thursday, August 23rd at 6pm at the Barnstead Town Hall for a “Pot Luck Supper” and meeting to follow at 7pm. Stephen Winchester will be the guest speaker, topic: The Center Barnstead School House of 1880. If you have pictures of the School House or any information about the building and would like to bring them it would be very much appreciated. Come and join us for an interesting evening we look forward to having you join us and let’s keep Barnstead’s History alive!!! 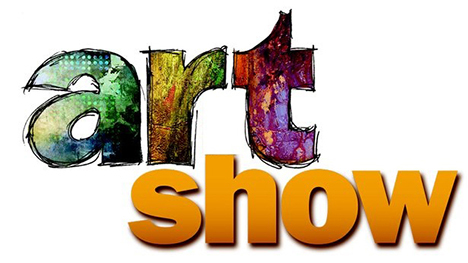 On September 8th, from 9:00am to 12N, The Barnstead Farmers Market is showcasing some local artists! If you would like to participate, contact us right away, space is limited! Please join us to support our local art community. There will be music by Mark Newton & Nancy Frizzell representing an acoustic Folk Rock sound, lots of shopping fun at the market and unique art demonstrations by some creative individuals. The Farmers Market is located at the Maple Street Church, 96 Maple Street, Center Barnstead NH. For more information please visit our website: www.barnsteadfarmersmarket.club or call Lori Mahar at 603269-2329 or email: lorimahar@tds.net. Attention All Pie Bakers And Pie Lovers! Do you love to bake pie? Do you love to eat pie? If you answered, “yes” to either question, then the Pie Table at the End of Summer Block Party on August 25 at Oscar Foss Memorial Library is the place for you. You can enter your homemade pie in the Pie Bake Off and try a sample of all the pies entered and then buy a slice of your favorite. The Pie Bake Off is being hosted by Center Barnstead Christian Church and you can pre-register to enter a pie in the Bake Off by going to our website, www.centerbarnsteadcc.org. You can also register in person when you drop off your pie at the Pie Table on August 25th from 11am to 12pm. We will have a junior category for young bakers aged 17 and under and an adult category for everyone older than 17. You will need to submit two identical pies that are at least 8” and the pie filling must be completely home-made. We will have no ability to refrigerate the pies. Also, we recommended you submit your pie in a disposable pie pan because no pie pans will be returned. You will need to drop off your pies between 11am and 12pm on August 25 at the Pie Table behind the Library. We will judge the pies starting at 12pm and announce the winner at 1pm. New Hampshire politicians love to stand behind “The Pledge” of no new broad based taxes. To say that there are no broad based taxes in this state is a bald-faced lie. What do they call the following taxes, fees and permits paid by individuals and businesses? All other state & local fees and permits – Taxes. What is so scary about a Personal Income Tax that is based on ability to pay? Rich donors don’t like it. What is so scary about a Sales Tax that excludes food, clothing and medicines? The border stores will lose their beer and tobacco sales, and will have to collect it. Well they collect it now for Meals & Rooms Taxes. Vote for those who refuse to take “The Pledge” in November! On Saturday, August 25th Dudley Laufman will be joining us for Contra Dancing during our summer block party! This event will begin at 12pm in the Parks and Recreation basketball court area next to the library. The library’s annual book sale will take place during our summer block party on Saturday, August 25th beginning at 11am. Books will be available to purchase by donation, as well as some baked items. Join us on Saturday, August 25th beginning at 11am for our Summer Block Party and help us say goodbye to summer with a bang! The book and bake sale will open. Hot dogs/chips/soda will be available by donation . Follow the signs to Yoga on the Riverfront with Mary Ellen Shannon. Face painting and instrument making for kids will begin in the parking lot area. Local food truck Baked, Brewed & Organically Moo’ed will be here! All entries to the pie bake-off need to be submitted by this time! Contra dancing with Dudley Laufman will begin in the Parks and Recreation basketball court area next to the Library. Children’s games and activities will start on the library lawn. Pie bake-off winners will be announced and remaining pie will be available by donation. Summer Reading ending packets will be awarded and raffle prize winners will be announced. OFML House Cup winning team will be announced. 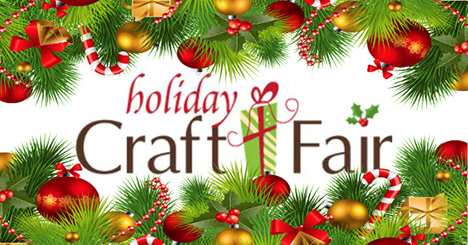 The Third Annual Holiday Craft Fair located at the Maple Street Church, 96 Maple St., Center Barnstead, is scheduled from 9:00a.m. to 2:00p.m. The Barnstead Farmers Market and Maple Street Church are sponsoring this year’s Holiday Craft Fair on November 17th, 2018! We are seeking craftsmen, farmer’s market type products and anything that is homemade and unique. We are also seeking lunch vendors, especially farm to table, homemade soups, or sandwiches. Please contact Lori Mahar for an application. Call: 603-269-2329 or email: lorimahar@tds.net. 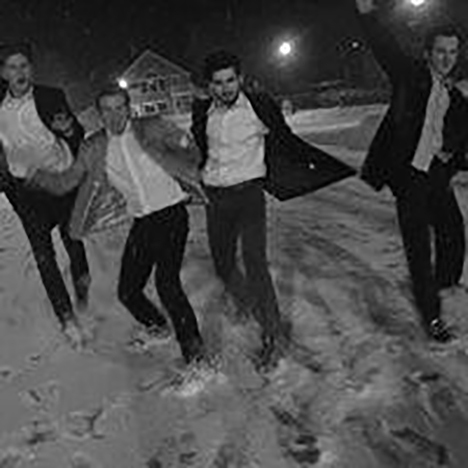 Organized Chaos Band is a 4 piece band with a classic rock influence and a modern sound. Consisting of Bassist-Alex Amann, Drummer-Riley McCartney, Keyboardist and Vocalist- Dakota Smart, and Guitarist and Vocalist- Luciano Monzione. They are well known in local bars and restaurants around the lakes region and beyond. They have been playing for the last two years and in that time have gained a following through their shows, and have even played along side national recording artists. Always keeping the crowd moving with classic hits and twists on favorite tunes, Organized Chaos is in the midst of recording their debut album of all originals. For more information about the band and to contact them for booking inquiries, please visit -www.organizedchaosofficial.com. The Barnstead Historical Society will selling refreshments. So bring your chair and your dancing shoes and enjoy the music!